Step one: Student finds a student affairs professional and says that they are overwhelmed/stressed/upset/not doing well with something. Step two: Student affairs professional listens to the student and then helps the student figure out what to do about the problem. The help that is given to the student more often than not involves telling the student what steps they need to take. Step four: Student affairs professional feels good because the professional helped provide support for the student as the student was experiencing challenge. I can’t help but wonder, however, if students are learning from such experiences what they should be learning from institutions of higher education. I’m also not sure that using challenge and support in this way is what Sanford intended… as I don’t really believe in the idea of using support to remove the challenge. I also don’t believe it is very helpful to create relationships with students where they are dependent on student affairs professionals to get the answers to their questions. Doing so often results in students repeatedly coming back to student affairs professionals to ask what they should be doing in a variety of situations, and student affairs professionals telling them how to address their issue (although this might make us feel popular/wanted as student affairs professionals, it has potential to result in quite a number of challenges for students upon graduation when they no longer have a student affairs professional to go to for all of the answers to the challenges they are experiencing). I’m not saying that students should be ignored when they seek out help, or be told to “figure it out” for themselves. Rather, I think we want students to learn to consider what they already know and how that might help them navigate through whatever experience they are being challenged by. Doing so, does not mean that students are alone in the process of navigating through whatever challenge they are experiencing, but rather it means that we partner with them. In other words, the support we provide is us being with them as they work through the challenge. 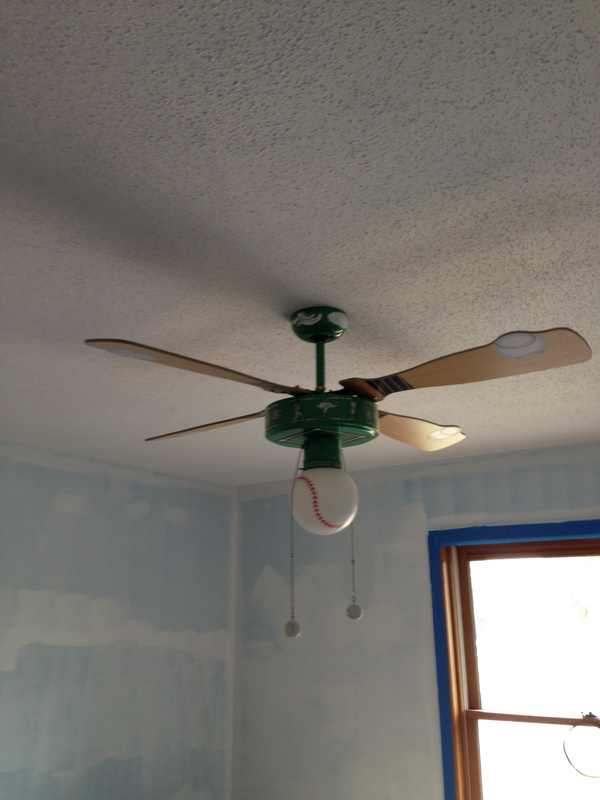 I actually experienced such support this morning as I installed a ceiling fan. Yet, it almost didn’t become a finished product because I had reached a point of maximum frustration and impatience (lots of “this is stupid” and “why did I ever start this?” kinds of thoughts were occurring both in my mind, as well as being muttered under my breath). You see, I have learned just enough about changing out lights/fans/etc. that I am now the family member volunteered for such home improvement projects when visiting relatives. Given that I currently am visiting my sister, I was volunteered (and agruably I volunteeered myself, although I am hesitant to admit it given my most recent Sarah-as-an-electrician fan installation experience) because I wanted to do something nice for her (she is having surgery today, and I thought it would be nice to do something nice for her to experience when she returned home). I had most certainly reached a point where I just wanted to be told what to do by someone else to solve the problem of the switch not working after I thought I had done everything I should have done. So, reached out to my partner, John, and asked him to do just that. I even, in quite a sassy tone, told him that I didn’t know what to do and was done. Instead of responding by telling me what to do, he asked me to explain what steps I had taken. At first, I will admit, I was quite frustrated by this question. I didn’t want to tell him what I had done, I just wanted the switch to work!!! Once I told him the steps I had taken, he asked me what I knew about why it might not be working. This led to us determining that perhaps the wiring wasn’t as straight forward as it appeared. In other words (this will make sense if you’ve ever done any electrical work) matching the black wire to the black wire, and the white wire to the white wire no matter how many times I did it was not going to provide different results (indeed, my continual repetitive trials of doing so were already proving this!). Funny enough, John providing me with this kind of partnership, instead of just telling me what to do, has actually resulted in me feeling satisfied and motivated to install a second ceiling fan. While I shared this experience as an example of the kind of partnership that reflects a more complex way of providing challenge and support, and not one in which John used support to “solve” my challenge, it also illustrates the motivation and skill development that results from such partnering. 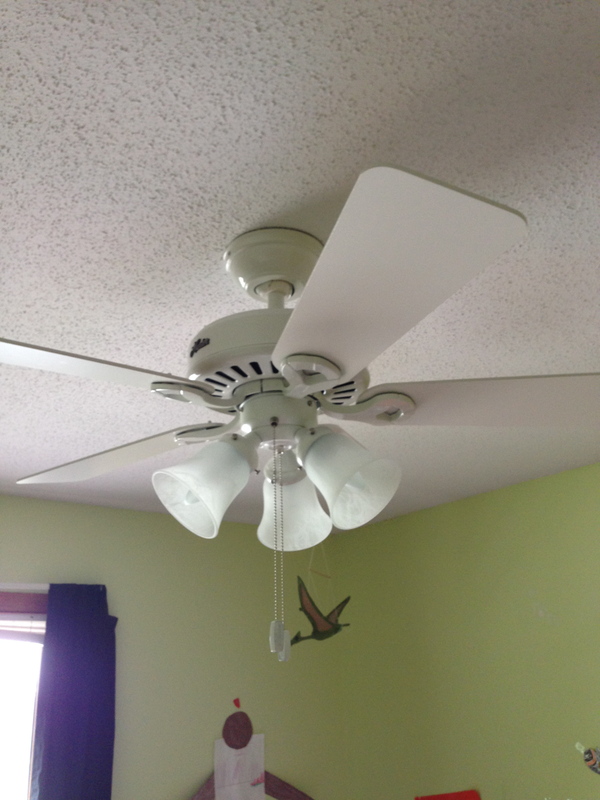 This entry was posted in Uncategorized and tagged ceiling fans, challenge and support, electrical, experience, higher education, learning, Nevitt Sanford, partnership, student affairs, student affairs practitioners, student affairs professional, student affairs professionals. Bookmark the permalink.